Today is my Little J’s 7th birthday. It is amazing how quickly time flies. 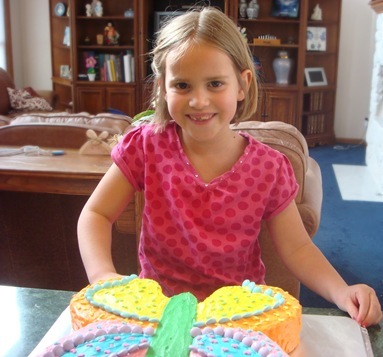 My once-upon-a-time-baby is all grown up and decorating her own cakes now! I am glad she is still interested in fun little girl things like butterflies. 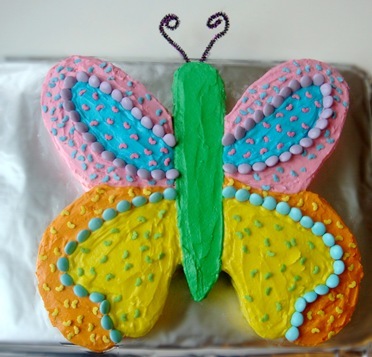 Last year we made Cupcakes topped with Chocolate Butterflies for her 6th birthday. 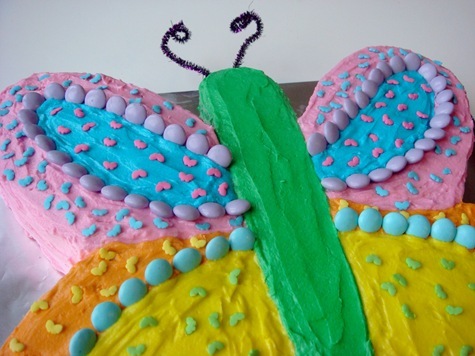 This year it was one great big butterfly cake. Little J was in charge of design and decorations. 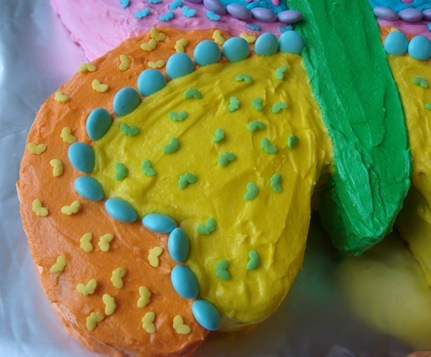 She chose the color patterns of the icing sections, the sprinkles and the M&M borders (I love Easter-colored candies!). She also put on all of the M&Ms and sprinkles and shaped the antennae. She is very meticulous! My job was heavy construction: cake cutting and icing spreading. 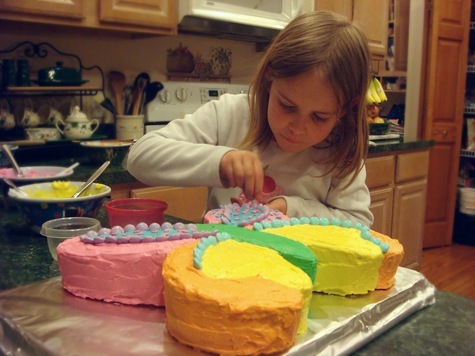 She carefully separated a rainbow mix of sprinkles into separate colors. If you look closely, the sprinkles are shaped like tiny butterflies. 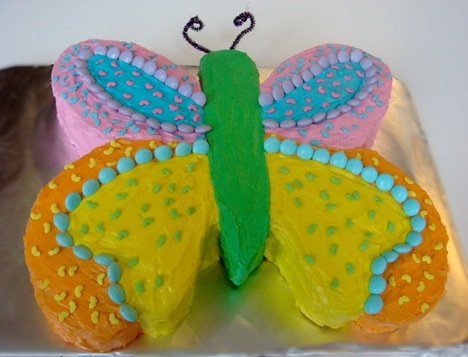 Little J says they are the baby butterflies and the big cake is the Mommy Butterfly. Congratulations Little J on a cake well done! Happy 7th Birthday Little J. We love you lots! Cream butter and shortening with a mixer. Beat in powdered sugar, 2 Tbs milk, vanilla and salt. This yields 3 CUPS STIFF icing (for piping borders and decorations). 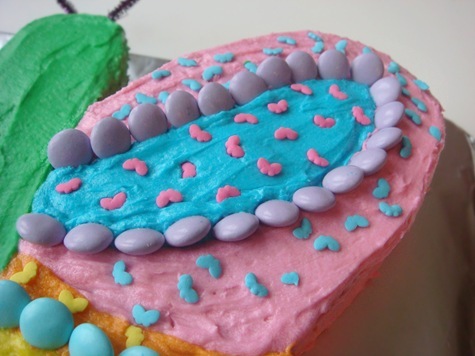 For thinner icing (spreading on cake): Gradually beat in additional milk, 1 tsp at a time, until icing is desired consistency. FOR CHOCOLATE BUTTERCREAM: Add 3 oz. unsweetened chocolate, melted and cooled and additional 1 Tbs milk. DAY 11: Technically, these are a candy, not a cookie, but they still make a great addition to any holiday cookie tray. Sweet & salty; crunch & chewy. A great combination of tastes and textures. 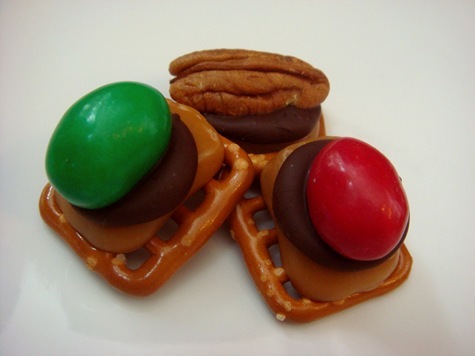 These candies are a simple, fun alternative to traditional Turtle Candies. 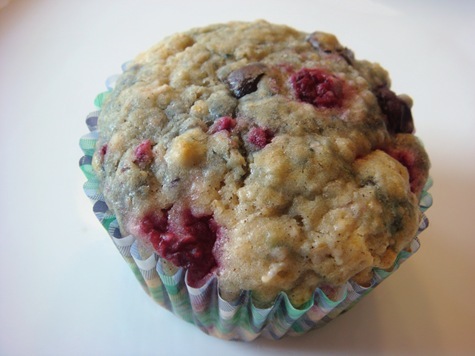 They are also an easy treat to make with kids. They can do almost all of the work themselves. The base of these treats is a Pretzel Snap: the square criss-crossed shaped pretzels that look kind of like a window pane. Place the pretzels in a single layer on a lined baking sheet. You can use a Silpat, parchment paper or foil to line the pan. Top each pretzel with half of a caramel. 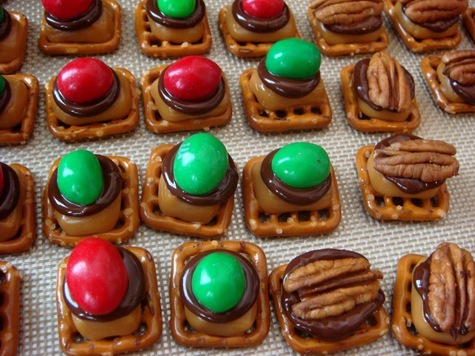 Instead of a caramel, you can also use a Rolo candy. I prefer the flavor of the plain caramel, topped with a bittersweet chocolate chip. Using plain caramels also allows me to make some “chocolate free” candies for Little A. But the Rolos do save you one step. Bake the caramel topped pretzels for about 5-7 minutes, until caramels (or Rolos) are soft. 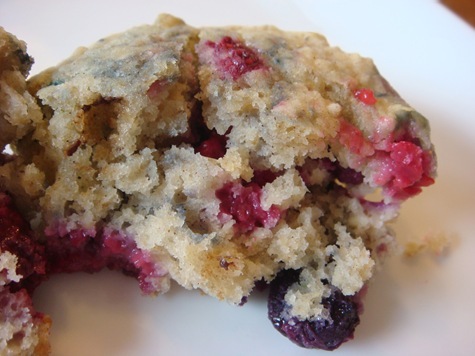 Remove from oven and immediately top with a chocolate chip. I like the Ghirardelli bittersweet chips, for both the flavor and the fact that they are slightly bigger than normal semi-sweet chocolate chips. (If you are using Rolos, you don’t need to use any chocolate chips) The chocolate will melt by the time you have finished putting one on each caramel. Press one M&M or toasted pecan half into the soft chocolate. Let candies cool completely before moving from baking sheet. Lay pretzel snaps in a single layer on a baking sheet lined with a Silpat, parchment paper or foil. 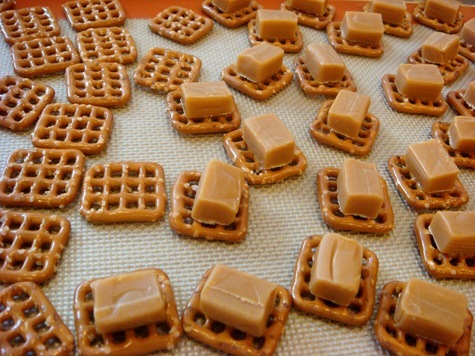 Cut caramels in half and place one half on each pretzel (Alternately, top each pretzel with a Rolo candy). Bake for 5-7 minutes, or until caramels are soft. 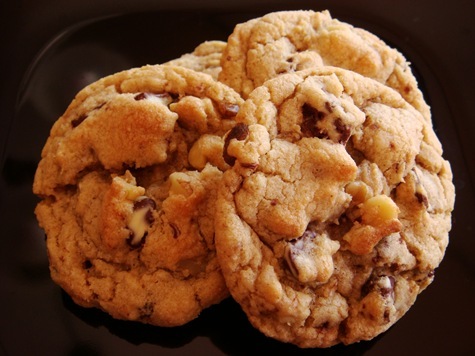 Remove from oven and immediately top each caramel with one chocolate chip (omit chocolate chips when using Rolos). When chocolate is soft, press an M&M or pecan half into the chocolate. Let chocolate harden before moving to a serving plate.